It’s no secret that women are wired a little differently than men. I would say that a majority of females enjoy feeling clean and using an actual restroom. Personally, I’ve never had an issue being outside or playing in mud, but an overnight hiking and camping trip brought a whole different kind of anxiety to me for some reason. People hike all the time, but a much smaller percentage of people stay overnight in the wilderness where there are absolutely no facilities and you have to carry everything on your back. A man might see this adventure as an opportunity to showcase his manliness and survival skills while a woman might go through an initial anxiety phase that causes constant worrying to arise. 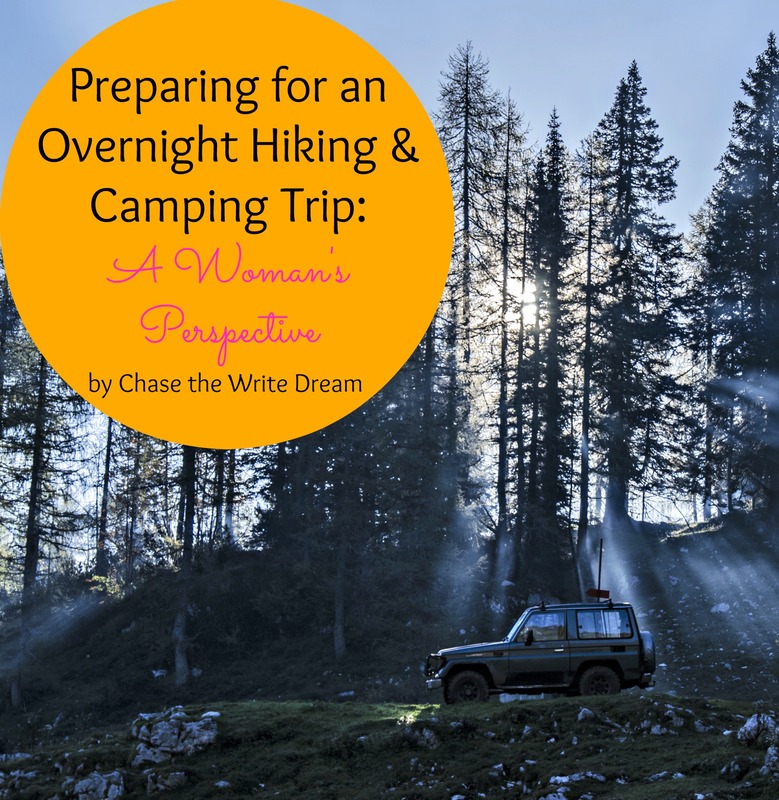 Let’s walk through how a woman might possibly handle preparing for an overnight hiking and camping trip. Man: I found this really great place to go on an overnight hiking and camping trip! I hear that it’s one of the best places to go in the state, but the trails are a bit rough. I’ve been doing some research and it looks like we need to get backpacks , a tent, sleeping bags, a bear bag, MREs, and some better hiking shoes for you. How does the middle of July sound? Woman: *Thinking to herself– Okay, well this sounds like it could potentially be fun. I wonder if he is talking about hiking during the day and staying at a campground overnight…* Wow, that sounds like it would be an exciting trip! I’ve never really done the whole overnight thing before… will there be bathrooms? Man: Of course not, silly. We are going to hike down a gorge, stay in complete wilderness, and then hike back to the top the next day. Bring some baby wipes so you can clean up a little but don’t expect to shower or anything. Woman: *Gulp* Ummm… okay, as long as you know what you’re doing and have everything under control! Man: It’ll be fine! I’ve done the whole land navigation thing in college ROTC. Some of our friends agreed to go as well so we’ll have good company. It’s going to be awesome! Woman: Are we really prepared for this? My health insurance doesn’t kick in until August… what if I break my ankle and we don’t have cell phone service? What am I supposed to do with my long hair and oily skin? What happens if my acid reflux kicks in or my stomach gets upset? I’M FREAKING OUT HERE! Male: I promise that everything is going to be fine. I’ve already gotten a map and REI is having their garage sale this weekend, so I’ll be able to get us some things for cheaper than they normally sell for. One of my buddies also said that we could borrow some equipment from him. As for everything else, you’re just going to have to get out of your comfort zone a bit. So at this point, a woman may start to worry about paying for all the gear, what food to bring that won’t upset her stomach but will still leave her feeling full , how she’s going to carry a heavy backpack throughout the hiking portion of the trip, and how she’s going to avoid getting injured. If the woman in this example is anything like me, she has a tendency of walking into things or tripping and getting scrapes and bruises like you wouldn’t believe (I can’t help that I’m a walking recipe for disaster). At the same time, she probably really wants to do this trip to prove to herself, as well as everyone else, that she’s capable of testing her limits. Besides, not everyone can say that they’ve been overnight camping in a tent in the wilderness! Clothes – How in the world am I supposed to pack for every weather occasion? I’m always the one bringing pants, shorts, a jacket, and extra shirts because I never know what I’ll need! Food –I really don’t think the MREs are going to be a good thing for me, so what else could I bring? It looks like I may have to eat sandwiches. I keep telling myself that a giant pepperoni pizza will be waiting for me when I get home. AND CHOCOLATE! Hygiene Items – Man, I wish I didn’t have so many different products that I use every day. I guess I need to invest in some wipes so I can at least wash my face and body. The deodorant is going high on the list because I know that I’m going to stink. 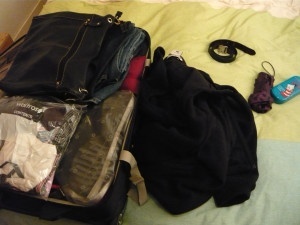 *Sigh*… I know it’s only for a weekend, but I’m really going to miss being clean. Pillow – If I don’t have a pillow, then I may not sleep well, but pillows take up space and I made need that room for water or something else that’s more important. Dilemma, dilemma. The woman decides that it would be smart to do a trial run through of how to load up her backpack. Anxiety about carrying too much weight for long periods of time crawl into her thoughts, but she also realizes that she can’t go without certain items. On top of it all, her build doesn’t necessarily give her an advantage. She may be small and short with a giant pack on her back or tall and unbalanced which means rugged terrain is her worst enemy. Alright Ladies, Let’s Start Packing! The waiting process might be the worst part for her. This is the point when more questions start to surface, doubt fills her mind, and she has to learn how to incorporate a lot of positive self-talk into her day so that she doesn’t completely psych herself out before the big trip. She may feel like she has lost complete control of the situation because she can only be so prepared for the wilderness; Mother Nature gets to decide the rest. On the other hand, she is excited and wants to go on this adventure with her man so she can make memories and have a new experience. She may feel beyond terrified and her mind probably won’t shut up, but she knows she can do this. Disclaimer: Not every woman is as worrisome as the one presented here. Just be gentle with your approach and listen to her concerns before embarking on the adventure!